1. What types of environmental factors can limit population size? 2. What part of a graph would represent exponential growth?owth? Assume 3,650 Calories are available at the herbivore level. 1. How much energy is available at the secondary consumer level? 2. How much was in the producer level? 1. Give an example of a population we saw in the videos yesterday. 2. What were some species interactions from the videos that would help a population grow? Decrease? Write your warm ups on paper. Using your quizlet define the following. ​1. 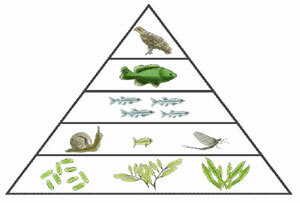 What level of organization is represented by the living organisms in this picture? 2. Identify 3 abiotic items in the picture. 1. What level of organization is represented by the herbivores in this picture? 2. How do organisms rely on each other for survival? 1. 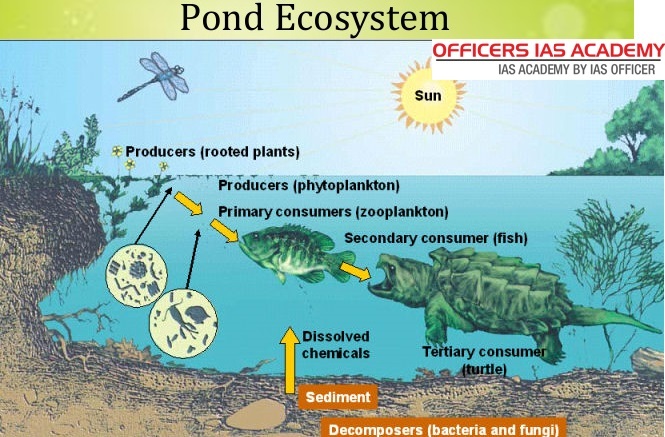 Why is biodiversity in the food web important? 2. What organism recycles nutrients and makes it available to others? 1. Which organisms get the least amount of energy? Why? 2. Are there as many tertiary consumers as their are secondary consumers? Why or why not? 1. What is an example of a producer? Why are they called producers? 2. Are you a consumer or a producer according to our definitions? why? No warm-up. Use this time to finalize your posters.